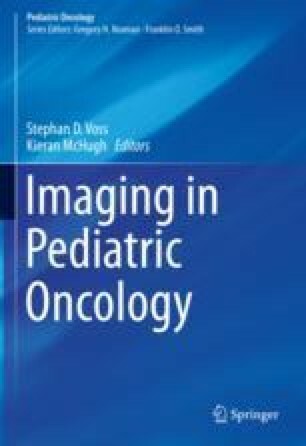 Response assessment in pediatric neuro-oncology presents unique challenges compared to adult practice. In fact the majority of pediatric tumors are of low grade and can have rather indolent courses with both contrast enhancing and nonenhancing components, often not easily measurable, compared to the adult population where most of the tumors are high-grade gliomas. In addition, there are profound differences in pediatric tumors when compared to their adult counterparts relating to location, histology, molecular biology and imaging characteristics. This has been highlighted in the 2016 World Health Organization classification of central nervous system tumors which identified specific molecular characteristics of pediatric tumours with different biological behaviours and thus potential differences in terms of response assessment. There is currently no consensus-based agreement on standards to define response or progression for pediatric brain tumors in trials and, consequently, in clinical practice. Most pediatric neuro-oncology trials are still based on the methods extrapolated from adult experience. Hence, there is definite scope for further development in this field. This chapter endeavours to address these very specific issues; it reviews currently existing criteria and recommendations and discusses the feasibility and limitations of the multiparametric approach that should be adopted to assessing tumor response to therapy in children.